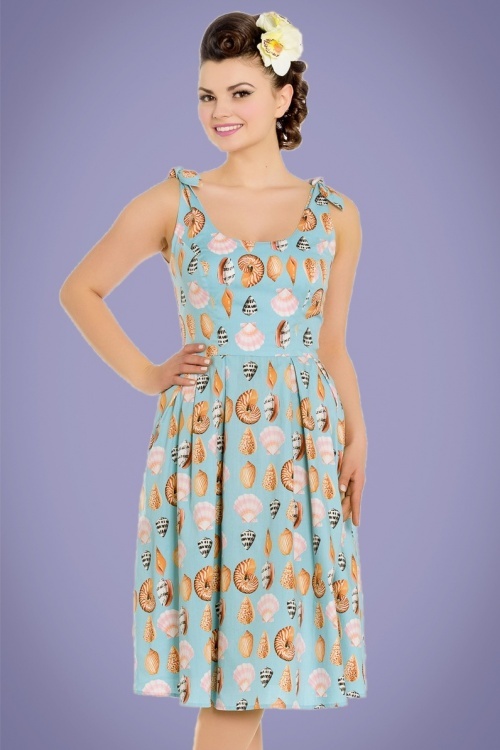 You're totally summer-proof when wearing this 50s Maya Bay Swing Dress! You'll be a real sea-(bomb)-shell thanks to the elegant round neckline, cute tie shoulder straps and stunning low back (your bra won't show)! The fitted bodice and flowy semi-swing skirt with box pleats ensure a flattering fit for all body types. 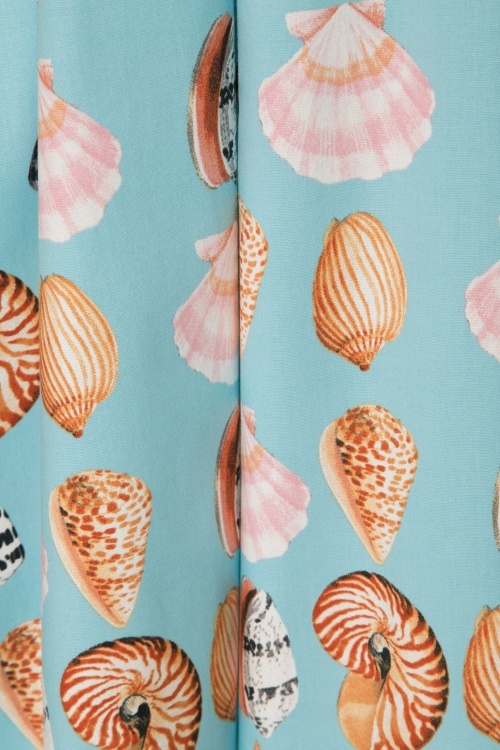 Made from a breezy light blue cotton blend with a light stretch and an all-over shell print. Hey Maya Bay want to join me on a trip to the beach? 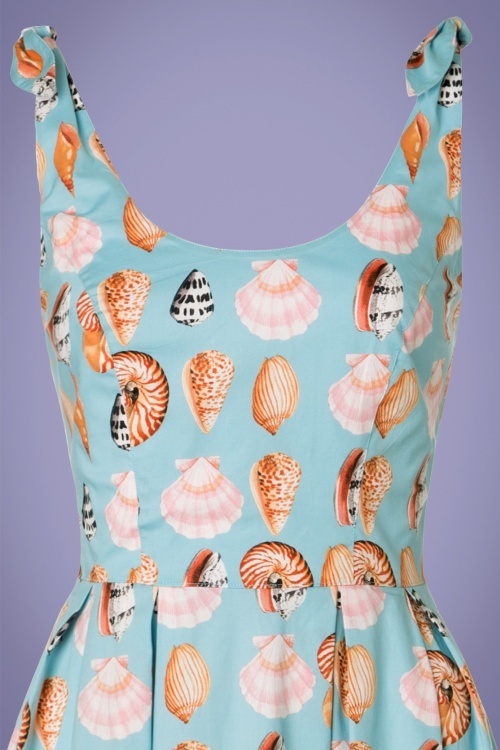 This sea shell dress is both adorable and perfectly summery. 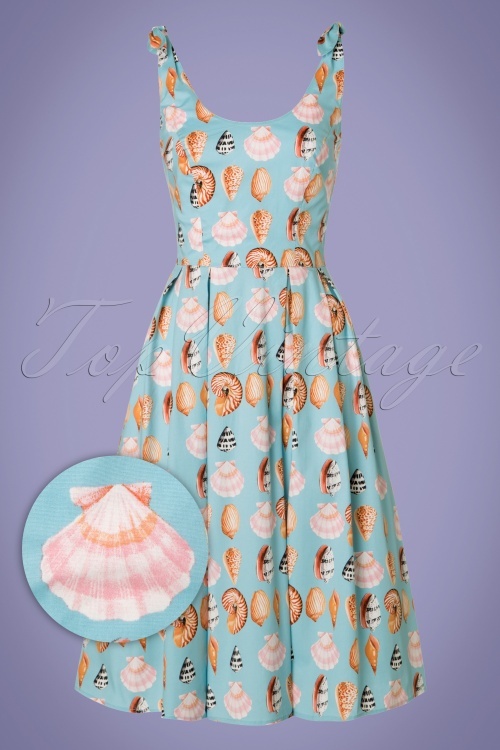 The pretty pastel light blue colour and many different shapes of sea shells covering the dress, make it really stand out and eye catching. 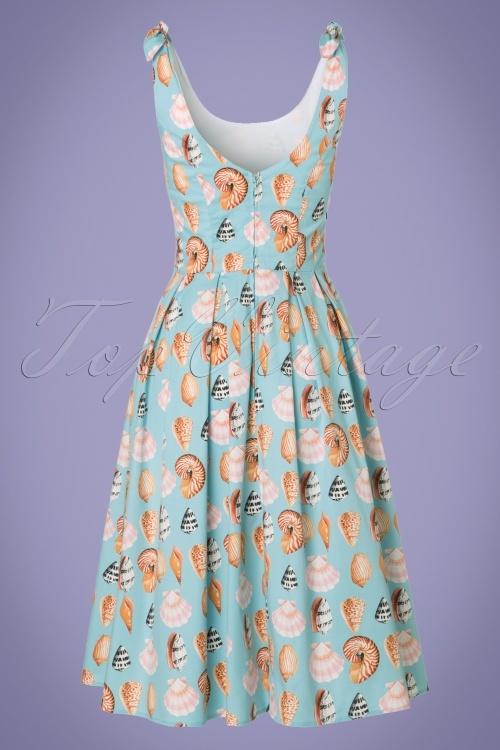 A must have summer dress! 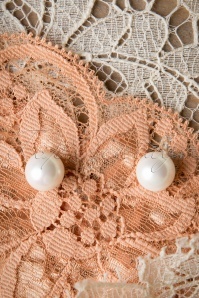 Heerlijke zomerjurk met verstelbare bandjes zodat deze mooi aansluiten. Sogar noch schöner als erwartet!! Die Farbe gefällt mit noch besser als auf dem Bild und die Qualität passt. Auch die Maße sind wie in der Tabelle beschrieben und es sitzt echt super und auch die Länge ist top. Außerdem ging die Lieferung echt flott. 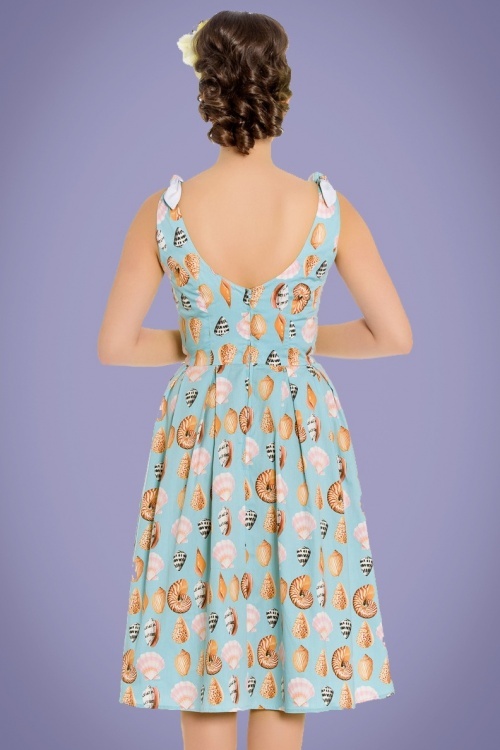 It feels like your designer read my mind when making this dress pattern - it is just perfect! I love the tie shoulder straps because with them I can make sure they are just the right length. The size is exactly as described in your size chart (size help) and it feels very comfy and has little room around the waist but it still doesn't look too big, but just right! The dress looks better on me than I had expected, it is just gorgeous! 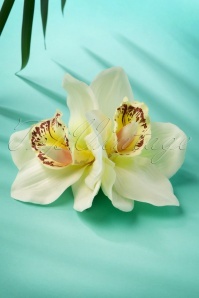 The material is good quality and the colours are exactly like shown in the photos on this site. I wouldn't mind if the dress was ever so slightly shorter, but it isn't too long either. I want to wear it every day, please summer come soon!